He is back again! More than ten years after his last Bundesliga appearance at Borussia Dortmund, Thomas Doll makes his comeback in the highest German league this coming Friday. 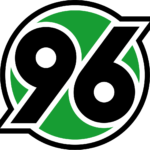 As a successor to Andre Breitenreiter the former national player Hannover 96 is to save from the threat of relegation to second division. Doll’s premiere celebrates the opening day of the 20th matchday against home crowd against RB Leipzig. For the penultimate, the hurdle could have been little higher, because the Saxons are currently ranked fourth and have in the last weekend in Dusseldorf its own ambitions to return to the Champions League underpinned with a strong performance in the 4-0 victory. Football can be extremely tough sometimes. This experience was made last weekend by the Hanoverians and Andre Breitenreiter. Despite over 60 minutes of absolutely acceptable performance in the away game in Dortmund, the Niedersachsen left after four outcomes in the last half hour with a crashing 1: 5 the field in the Signal Iduna Park. With a little more luck, skill and effectiveness it could at least have drawn at halftime. Although the Hanoverians gave up their own fate in the final phase, they were not to blame for much of the match. As expected, Andre Breitenreiter was released from his duties on Sunday and presented a day later Thomas Doll as the new coach. The 52-year-old was in the Bundesliga after rather atypical engagements abroad as a “burned child”, but at least since his successful time in Hungary, the former coach, who once helped Borussia Dortmund and Hamburger SV from the table cellar, has a second Chance earned in his homeland. Immediately after taking over, Doll announced that every player would start at zero and work with the existing squad instead of putting their hopes on last-minute new entrants. In the team, these statements met with satisfaction, so it can be assumed that all players in the Doll debut on Friday are fully reinhauen to make a personal letter of recommendation. In fact, we hold the “new coaching effect” (“New broom sweeps well”) for by far the most weighty argument to make a prediction in favor of the table penultimate in Hannover duels against RB Leipzig. The rest of the statistics do not give much hope for a good result in the eagerly awaited debut of the native Malchiners. Although Hanover scored more points (seven) in front of a home crowd than in a foreign country (four), the North Germans are currently the weakest team in front of their own fans. The recent four encounters in the HDI Arena were all lost, without that the Lower Saxony scored even a single goal. Overall, the home record stands in two wins, one draw and six defeats, with only three of the six bankruptcies with more than one goal difference came about. In this respect, the Hanoverians often sniffed point wins and proved, among other things, in the 0-0 draw against Dortmund or in the 2-1 win over Wolfsburg, that especially against supposedly stronger opponents surprises are quite possible. The fact is that after the change of coach and the decent performance against BVB at the game Hannover against RB Leipzig the odds of at least one draw of the relegation candidate promise a more lucrative value than the quotations on the guests. Hübers, Maina, Bebou, Haraguchi, Füllkrug and Sarenren Bazee will not be available. The stakes of the ailing Elez and Felipe are questionable. Every coach has an idea of ​​the perfect football for his team. The first half of RB Leipzig last Sunday in Dusseldorf probably came very close to the ideal image of “Professor” Ralf Rangnick. The “Red Bulls” rolled over the Rhinelanders from the very first minute, leaving them no room to build up, and felt they could win every ball on the first pressing line. Certainly owed to the completely overwhelmed opponent, led the Saxons after 16 minutes (!) With 3: 0. In the end it was 4-0 in the view of the team, which claimed the fourth place in the tableau and should have good chances to return to the premier class in the coming season. Because of this strong performance in Dusseldorf inevitably assume that even at Hannover vs RB Leipzig paid a tip on the guests from the east of the country, would be presumptuous, after all, the Messestädter had not been mandatory as an outward force in appearance. Coach Ralf Rangnick’s charges are still in the away table on a sobering tenth place. Of the nine matches abroad, the “Red Bulls” won their first three. In addition, there were two draws and already four defeats. Because the goal difference with eleven goals or eleven goals conceded could only be balanced by the victory from the previous week, it is clear that Timo Werner and Co. on the opponent’s place in many cases did not reach their own performance optimum. 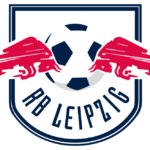 Before the 4: 0 last Sunday, RB Leipzig even conceded five away defeats in a row across all competitions. It is hard to imagine that this apparent weakness could be shelved within 90 minutes. To make matters worse, the “plastic club” in the past was not always immune from “arrogance attacks” of individual players. Especially after very successful matches returned a bit of satisfaction. The best example was the 2-0 home win over Borussia Mönchengladbach, followed by an embarrassing 0-3 defeat in Freiburg. The focus between Hannover and RB Leipzig on a prediction in favor of the fourth is therefore not a lucrative alternative. Haidara, Bruma and Upamecano are injured due to injury. For the not quite fit Kevin Kampl again newcomer Adams could slip into the starting lineup. At first glance, Hannover’s record against Leipzig in the Bundesliga is catastrophic. All three previous meetings could win the central city. However, a close look reveals that all direct duels were extremely close and each ended only with a goal advantage for the ambitious Saxons. In the first leg, the “Red Bulls” won at home 3: 2. With a 4-0 victory at Fortuna Dusseldorf in the back, the Leipzig, who already six times in their youthful Bundesliga history on Fridays competed and never lost (five wins, a draw – 2.7 points on average), the prelude of the 20th match day in Hanover celebrate the next success. But just because all statistics for the guests speak and after the top performance in half time 1 from the previous week could quite a bit of satisfaction with the Rangnick-Elf, between Hannover and RB Leipzig our forecast goes in the direction of a highly competitive game in the the Niedersachsen will not be without a chance. The main reason for our assumption is the completed coach change from Andre Breitenreiter to Thomas Doll, who should release new forces in the relegation candidate. In the current season, some top teams have already done hard against the North Germans, as well as the BVB last weekend in the first 60 minutes. Moreover, the “Red Bulls” are not a designated outward power, which is proved by only three wins in nine Bundesliga matches in foreign countries. The bottom line is that in the direct duel against Hannover RB Leipzig the odds for the tip on the double chance 1 / X relatively high, so that a corresponding value is definitely found.